The Red Room is the smallest of the hostel rooms. 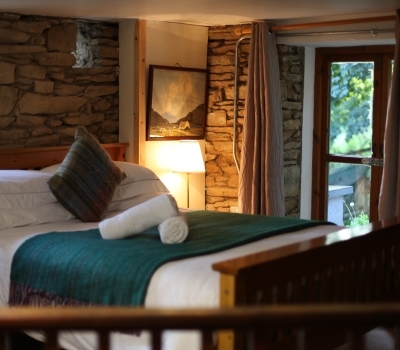 A cosy room featuring original stonework and views of the woodland. This room has shared bathroom facilities and has one small double bed and one bunk bed. The Red Room sleeps up to three or four people. The Studio Apartment is split level with double bedroom located upstairs and the living room with sofa-bed and kitchenette is situated downstairs. 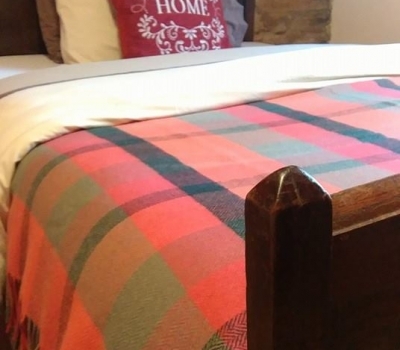 This apartment has a private entrance and direct access to the hostel. Featuring original stonework throughout the Studio Apartment oozes character and charm. With south-facing views of the Garden, the Ground Floor Apartment is all one level with a private entrance. This apartment features a King Size bed in the bedroom and a sofa bed in the Living and Kitchen area which feature original stonework. Also featured is a full bathroom and porch area. 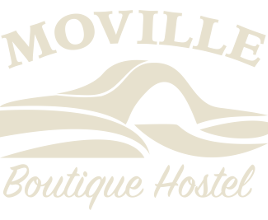 The Deluxe Family Room is the largest room in Moville Boutique Hostel and can sleep up to 6 people. 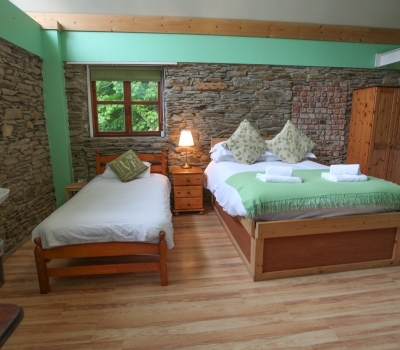 The room features original stonework throughout with a large gable window flooding the room with sunlight. 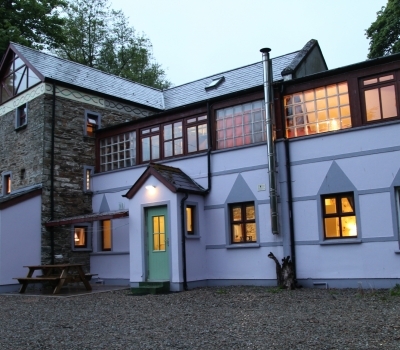 A bright, spacious en-suite room with TV and a private exit door to the woodland area at the back of the building. Perfect for couples, families and groups. The Blue Room features some original stonework with high ceilings. This room has one double bed and one bunk bed with en-suite and a TV. 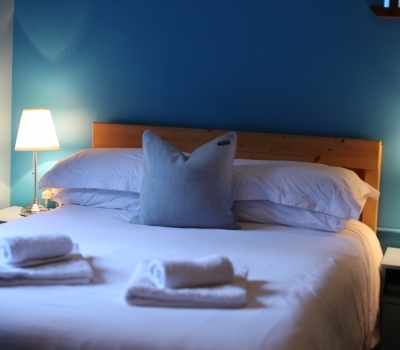 The Blue Room is perfect for individuals, couples, families and groups. 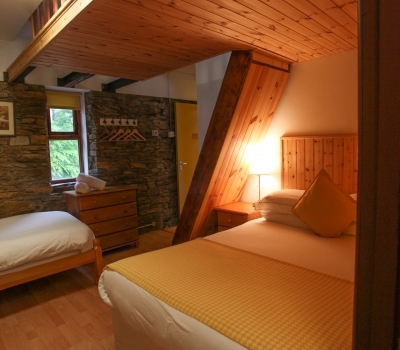 The Yellow Room features original stonework with an upstairs mezzanine where two single beds can be found in addition to the double bed and one other single bed downstairs in the room. This room is en-suite with a TV and a private exit door to the woodland area the the back of the building. Perfect for couples, families and groups. The Orange Room features south-facing views of the garden and a TV. A bright and warm room with high ceilings and original stonework. 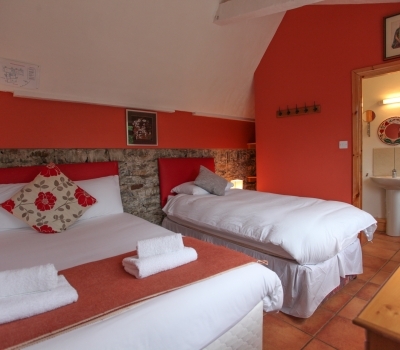 This en-suite room has one double bed and two single beds and can sleep up to 4 people. Perfect for individuals, couples, families and groups.